I thought I would thought the week off on a sweet note - a super easy sweet note that is. 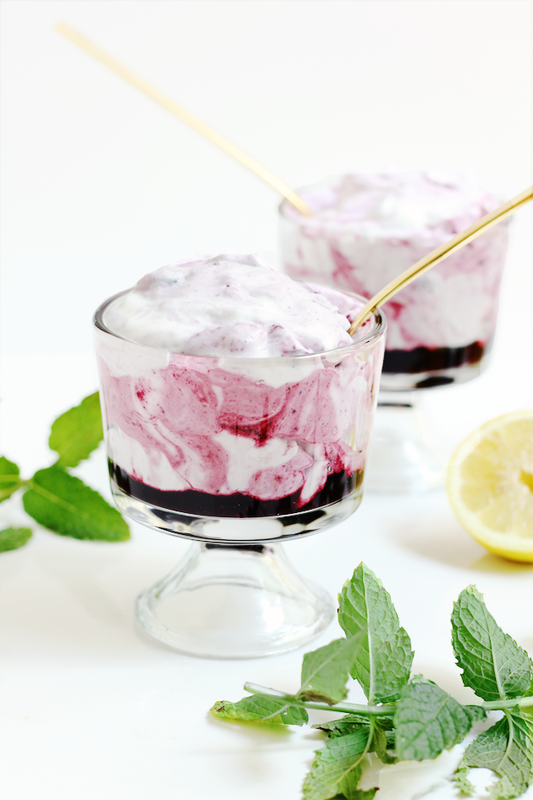 July 4th is coming up this weekend and desserts with blueberries and raspberries are usually the first desserts that come to mind when I think of that day. You know I am a stickler for quick yet really, really good desserts and this one is just that. It's called a "fool" because one could easily be fooled into thinking this dessert took a lot of time and thought. But it totally doesn't. 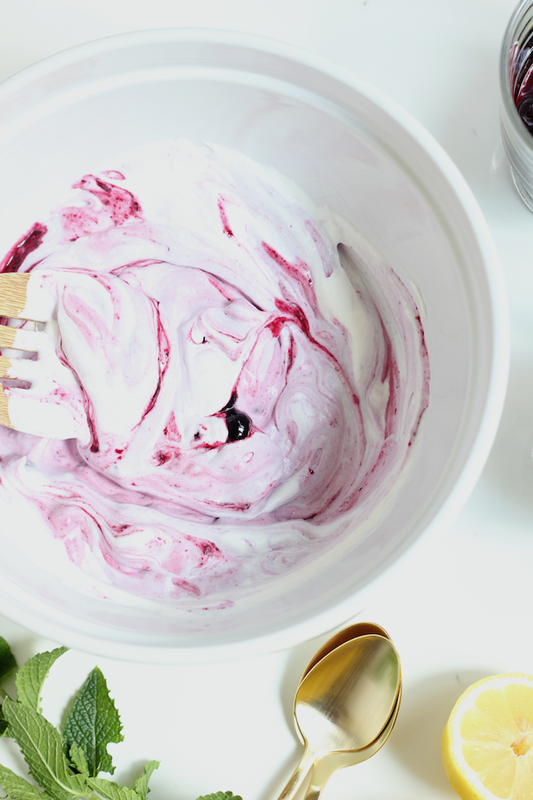 This dessert is simply a ten minute blueberry sauce that is folded into fresh whipped cream. That is it. It's so incredibly good - so good that I can honestly say that it's in the top ten of the best desserts I've ever had. That says a lot - especially for a dessert that is so simple to make. If blueberries aren't your thing, use strawberries, raspberries, rhubarb, blackberries... or a mixture of berries. It's good with pretty much of those fruits. 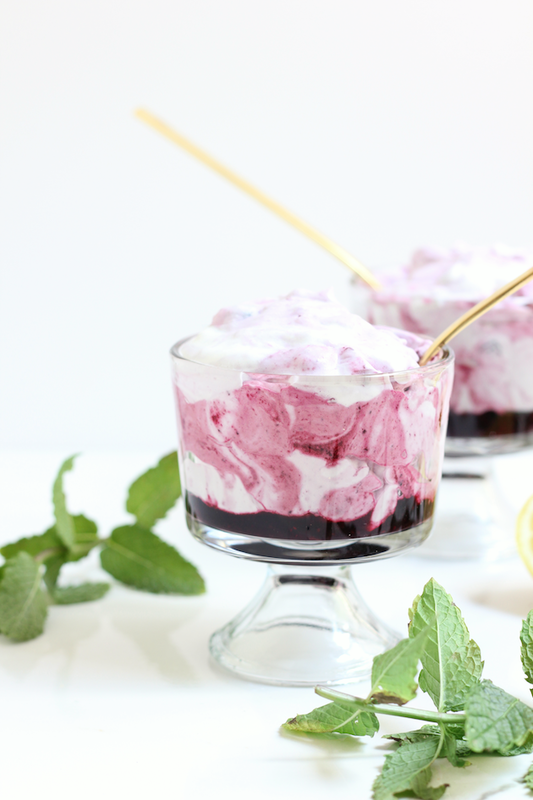 So if you are short on time, or not short on time and just don't feel like putting a lot of energy into dessert for your 4th of July cookout or that summer dinner party, then this is what you should whip up. So good! 1. Heat 1 1/2 cups of blueberries and 1/4 cup sugar in a saucepan set over medium heat until bubbling. Reduce the heat to medium low and cook, stirring occasionally, until the blueberries are soft - about 5 minutes. Stir in the lemon juice and zest and remove from the heat. Stir in the remaining 1/2 cup of blueberries and set aside to cool. 2. Add the heavy cream to an electric mixer and whip until soft peaks form. Add the vanilla and sugar and whip again for a few seconds until the vanilla and sugar are fully incorporated. 3. Divide 1/3 cup of the sauce among the bottom of each serving glass. Fold the remaining sauce into whipped cream. Divide among the serving glasses. Serve immediately or refrigerate until served. Oooo so delicious looking! I love the flavors in this! It's great for those light and refreshing sweet cravings!